No, I still do not have my computer up and running at the families lakeside retreat. I came home late last night so Julie could bathe my giant schnauzer, Gunner, in preparation for a 11AM grooming appointment. I'm not certain that Julie is thrilled to have me home this morning. No, she did not mind bathing Gunner. It is a breakfast thing. I get up at 5:30AM to get Julie's breakfast and share a bit of time with her before she goes to work. I did not notice when I set my alarm last night that my clock was an hour fast. Although I fixed her a favorite breakfast, she let me know that my clock was off an hour as she headed back to bed. Oh, well! I'm awake so I'll get a blog out before I get the dog clipped and return to the lake. I'll be back home a week from Saturday for an evening with the "Out For Dinner" group. I receive many stories from you readers. All are appreciated. This story needs to be told and retold. I appreciate this opportunity to do so. LZ (landing zone) X-ray. Your unit is out numbered 8-1 and the enemy fire is so intense from 100 yards away that your CO (commanding officer) has ordered the MedEvac helicopter to stop coming in. You're lyng there, listening to the enemy machine guns and you know you're not getting out. Your family is half way around the world, 12,000 miles away, and you'll never see them again. As the world starts to fade in and out, you know this is the day. 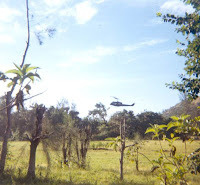 Then, over the machine gun noise, you faintly hear that sound of a helicopter. 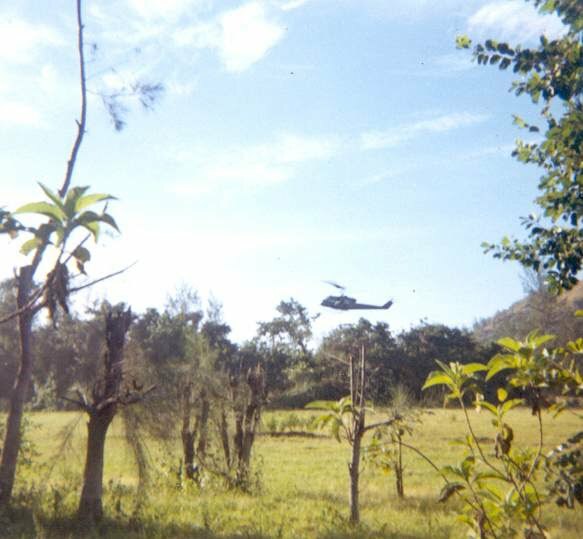 You look up and see a Huey coming in. But...it doesn't seem real because no MedEvac markings are on it. CAPTAIN ED FREEMAN IS COMING IN FOR YOU! 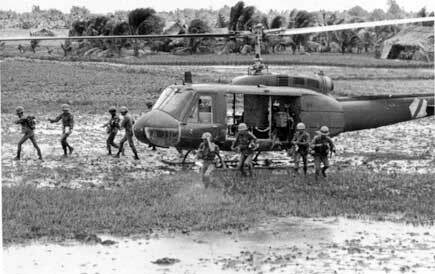 He's not MedVac so it's not his job, but he heard the radio call and decided he's flying his Huey down into the machine gun fire anyway. Even after the MedVac's were ordered not to come. And, he drops it in and sits there in the machine gun fire, as they load 3 of you at a time on board. Then, he flies you up and out through the gunfire to the doctors and nurses and safety. And, he kept coming back, 13 more times until all the wounded were out! 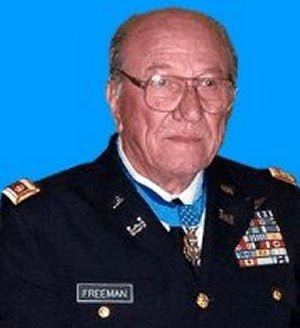 MEDAL OF HONOR RECIPIENT, Captain ED Freeman, United States Air Force, died two weeks ago at the age of 70, in Boise, Idaho. May God Bless and Rest His Soul! I bet you didn't hear about this hero's passing, but one couldn't turn on the radio or television for months without hearing over and over again about Michael Jackson or Tiger Woods or what Michele Obama is wearing. MEDAL OF HONOR WINNER CAPTAIN ED FREEMAN. 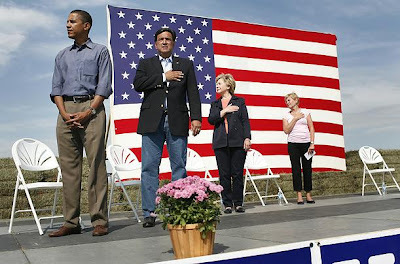 And, keep in mind this picture of our President, who was never in the Armed Forces, dishonoring the American Flag at this Pledge of Allegiance. One must ask, "just where does his allegiance lie? While he would not come to attention and place his hand over his heart for the American Flag, like Americans do, we see him pictured here bowing down before an Arab Prince?" Please plan to vote in 2010 and 2012. God have Mercy on each of our troops and airmen on their posts around the world and on each seaman as they patrol their lonely stations on and under the seas.